Many companies procrastinate when it comes to moving their information and services to a mobile audience. Mobile is not going away, it’s getting even more important especially as the internet is now being accessed more by mobile devices than by desktops. Taking the internet and apps to smaller places has been gaining momentum over the past several years and I can’t see that trend stopping anytime soon. In the past, if people wanted to be mobile they would carry around a laptop, then Apple made tablets and smart phones fashionable bringing the internet to a whole different section of the population. Other companies attempted both before but Apple were the ones to gain the acceptance of the masses (rather than just being toys for geeks). 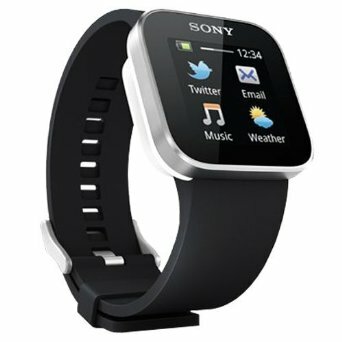 We had tablets & phones and now we have watches (for example the Sony SmartWatch), so where will the internet end up next? I’m sure there must be people somewhere thinking, “wouldn’t it be good if I could get my email on …” (if I don’t have a smart watch, smart phone or tablet with me and no access to a desktop machine). Perhaps we’ll see smart cufflinks next, you might have a shirt with cufflinks that you can tune in to your favourite apps – Twitter on one, video conferencing on the other (or any combination). Back to reality, it is estimated that there will be a large demand for smart watches in 2014 (over half a million were sold in 2013)! We therefore need to make sure that our web apps are mobile friendly by making them responsive on a mobile first basis (that means designed for mobile but makes good use of bigger screens if you have them). However, it’s not just websites that need to be considered, if you have a native app for a mobile device you will need to be aware as those devices get smaller, your app will need to handle it appropriately. Whatever you are building, whether website or mobile app, you will need to be compatible with the smaller viewing devices of the future. Failure to consider your mobile audience will see your customer reach go the same way as the technology trend – getting smaller.